The challenge of cultivating a “critical life” for any Filipino book is, admittedly, a tough one to hurdle. 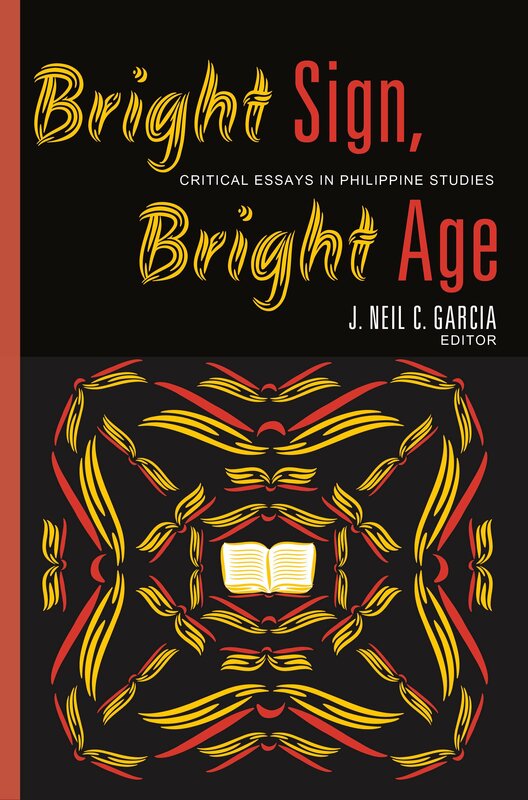 These last two years especially we [in the University of the Philippines Press] have been doing our darnedest in this regard—by holding forums and symposiums, and yes, sponsoring a Critical Essay Writing Contest, whose successful culmination the publication of this landmark anthology occasions. The absence of a critical tradition—premised on a culture of advanced and mature literacy—is clearly an abiding problem for the book industry (and for cultural work, in general) in our country. We may attribute this absence to, among other things, precisely the kind of tactile and personalistic ethos that orality foments and maintains. The winning essays in [both] the English and Filipino divisions … all attend to varying aspects of Philippine Studies, and yet what seems to unify them is the recognition of dissonance and paradox in the fundamental ways everyday social meanings are negotiated, expressed, interpreted, and lived by most Filipinos, caught as they are between the painful vicissitudes and transitions of their restively transforming histories. J. Neil C. Garcia teaches creative writing and comparative literature at the University of the Philippines, Diliman, where he serves as Director of the university press and a fellow for poetry at the Institute of Creative Writing. He is the author of numerous poetry collections and works in literary and cultural criticism, including The Sorrows of Water (2000), Kaluluwa (2001), Performing the Self: Occasional Prose (2003), The Garden of Wordlessness (2005), Misterios and Other Poems (2005), and Postcolonialism and Filipino Poetics: Essays and Critiques (2003). In 2009, Hong Kong University Press published its own international edition of his Philippine Gay Culture (1996). Between 1994 and 2014, he coedited the famous Ladlad series of Philippine gay writing. Another important anthology that he edited is Aura: the Gay Theme in Philippine Fiction in English, published in 2012. His most recent books are The Postcolonial Perverse: Critiques of Contemporary Philippine Culture, Homeless in Unhomeliness: Postcolonial Critiques of Philippine Literature, and Myth and Writing: Occasional Prose. He is currently at work on Likha, his seventh poetry book.